We carry a large variety of moving equipment for you like boxes, tape, bubble wrap, tissue paper, mattress covers, and more. We can pack your belongings for you, or we offer boxes in a range of sizes if you want to DIY. Whether you need help packing or you need a team to do the heavy lifting, we can help. Located in the heart of our nation's capital, Adam’s Moving is an established local family business with 50 years of moving experience with moving in Ottawa. We pride ourselves on making your moving experience as smooth and effortless as possible. Whether you are moving locally in Ottawa or across Ontario, our careful, safety-focused movers in Ottawa are here to help. 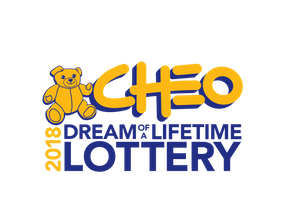 The official moving company for CHEO’s Dream of a Lifetime Lottery. Adam’s Moving has everything you need to pack your belongings including boxes, paper, tape, tissue paper, bubble wrap, mattress covers, and much more. In fact, we have specialty boxes in a variety of sizes that are perfect for everything from fine china to precious artwork. You can save money on our already low prices by purchasing a packing kit. We deliver supplies and will even buy back used boxes to make your move even more affordable. Best of all, we also offer packing services to take care of everything for you! If you have trouble viewing these documents please click the button below to download and install the latest version of Adobe Reader software, which is free to the public. Throughout this website, you will find all the information you need about our company and what we are prepared to offer. Schedule your move today or please feel free to contact us for more information about Ottawa movers. Purchase a packing kit and save money!